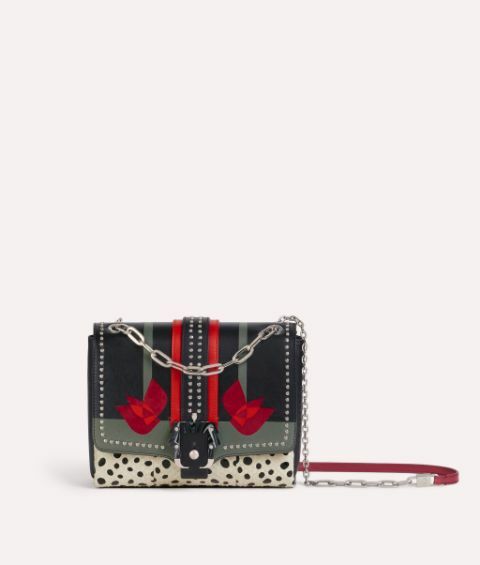 Alice Love takes an enduring Paula Cademartori style and disrupts it with a design that is at once both opulent and sleek. 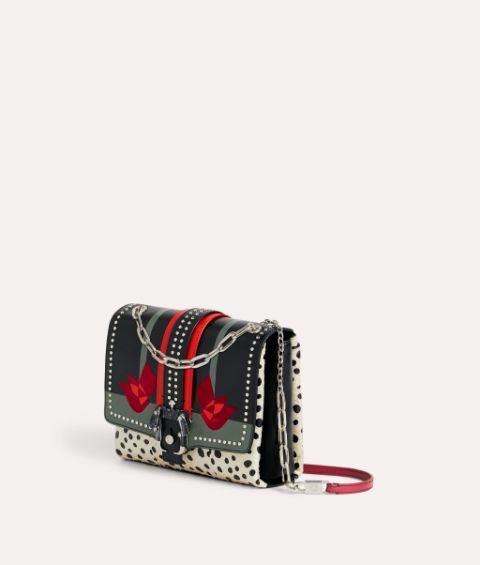 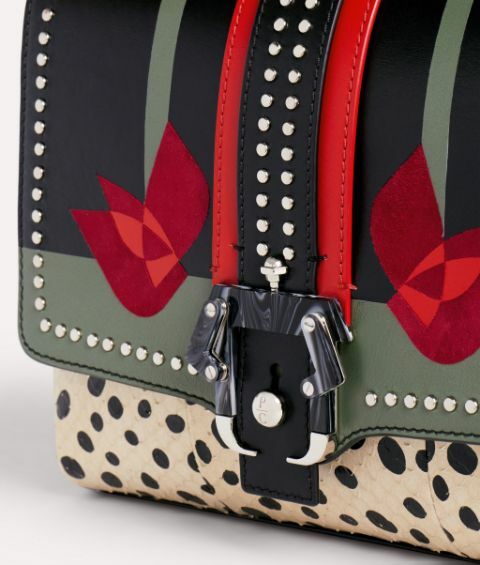 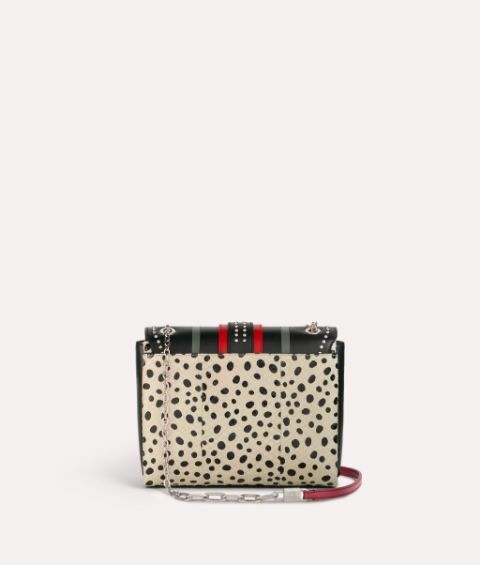 A radical combination of materials showcase world class Italian craftsmanship, with studded appliqués, watersnake textures and polychromatic geometric inlays seamlessly displayed across a jet black leather base. 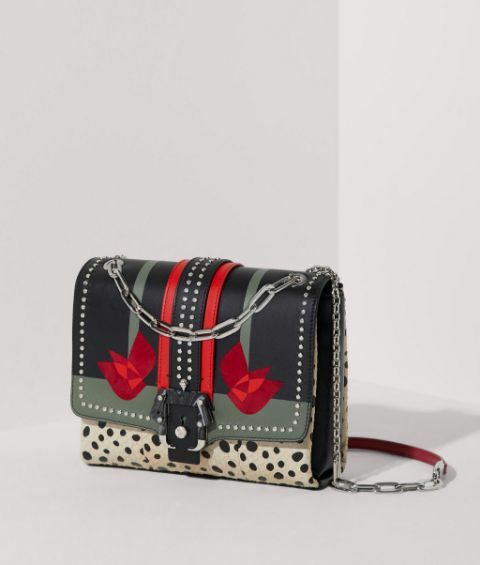 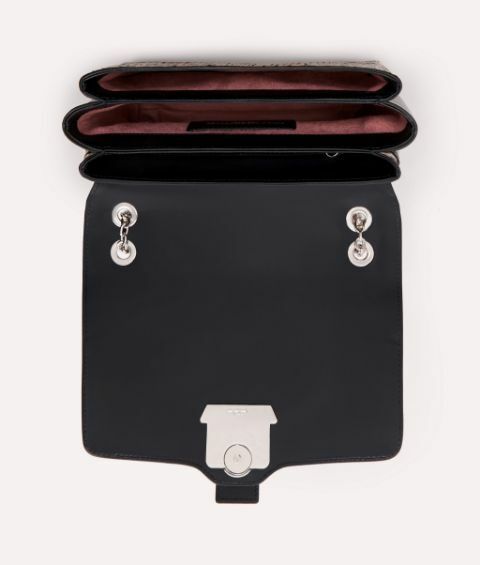 A beautiful shoulder bag for the Femme en Fleur.